Welcome to BI Cat! I like your username! My name is Marshmallow.Unicorn, but can call me Gem! Hey Kat! I'm Jessica, Welcome to BI! *VM:[ Visitor message. ]When someone posts on your page. You can reply to the message by clicking on the person's profile and then reply. *Siggie:[Signature]You can make your own, or order one at BI members shops. (And don't worry it's free! lol) Just give them credit in your siggie. That's most of it . 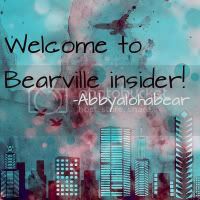 . . read the rules, make new friends, be kind to other BI members, and just have an awesome time here. Hey Kat. Welcome to BI. I'm Emily.